Romania is a country of great variety, history and culture - probably the most beautiful and interesting of the Eastern European states. It is a country which is friendly to visitors, welcoming and beautiful - in many ways, a land that time forgot. To enjoy the "real" Romania, the best accommodation in Romania is in simple yet comfortable inns, boutique hotels and farm houses spread across the alluring regions of Transylvania, Maramures and Moldavia. Idyllic holidays are to be had in the rural heartland of Romania, which is really the life and soul of the country, and is where the culture and ethos of Romania were created. 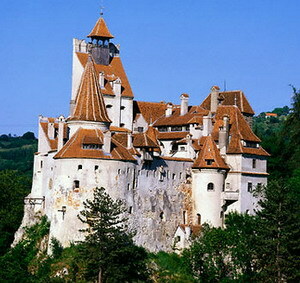 A great idea is to join an escorted small group for a tour of Transylvania - ideal for first time visitors to the country. Such a tour can provide a unique insight into the people and culture of Romania. Try these ideas for variety and fascination? Visit the largest Gothic church in Eastern Europe - The Black Church of Brasov; bear-track by night; walk the cobbled streets, intimate courtyards and wide stone staircases of Sibiu, European Capital of Culture for 2007; meet a tinsmith Gypsy family in the magical, memorable, fairytale town of Sighisoara; enjoy a traditional Transylvanian dinner in Viscri, famed for its fortified church and its links with Prince Charles; enjoy a horse and cart ride to a sheepfold; and get to know Bucharest's Parisian-inspired parks, buildings and elegant avenues. And there's more! Head north to Maramures surrounded mostly by mountains and blessed with fertile valleys. The region is renowned for its 17th and 18th century spindly wooden churches and here the visitor will be enchanted by fairytale hamlets, country fairs and artisans who still maintain the ancient art of their given trades. Enjoy a stay with Popica - a famous Romanian musician-turned-farmer - whose wife specialises in the tasty local dishes. Their farm is an ideal base for walks through the countryside and to the nearby Nature Reserve set amidst the surrounding mountains. Meantime, the Painted Churches of southern Bucovina, in northern Moldavia, are among the greatest artistic treasures of Europe and are all designated as UNESCO World Heritage Sites - simply stunning and well worth the trip. Moldovians have a reputation for being a very generous and hospitable people, which is only too evident when exploring this area. Whichever region you choose for your holiday in Romania, each has a distinct character and atmosphere, which is why multi-centre holidays in Romania are always a popular option. About the Author - Jimi St.Pierre in association with travel editor Penny Church, has collaborated with Sunvil - the "real Romania" - to produce this article. 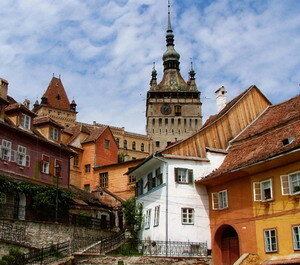 Find Sunvil brochures online with holiday brochure finder Travelwhere at http://www.travelwhere.co.uk , where you will also find a wide range of holiday brochures featuring Romania and other major holiday destinations. Welcome to Hotel Ambient, a place created with heart, so that you, our guest, can spend wonderful days in the exclusive comfort of our hotel and in the fresh air of a breathtaking Romanian city, Brasov. 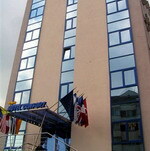 This ski hotel and conference centre comprises a total of 242 rooms and offers a variety of spa and beauty treatments, modern conference facilities, internet access and a computer games centre. Further facilities on offer to guests include a lobby area with a 24-hour reception and 24-hour check-in/check-out service, a hotel safe, a hairdressing salon and a restaurant. There are parking facilities for those arriving by car and a kids' club for the younger guests. The Athénée Palace Hilton Bucharest is a restored Belle Époque property situated in the city centre, 100 metres from the National Art Museum. This seven-floor hotel features 272 air-conditioned guestrooms overlooking famous squares and avenues or the hotel's courtyard garden. 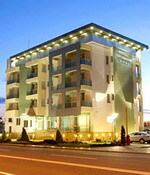 All include satellite television with pay movies, wireless internet access and minibars. bathrooms come with telephones and hair dryers. The Works Health Club features an indoor heated swimming pool and spa tub in lavish surroundings featuring pillars, mosaic walls and a relaxation area with chaise longues where guests can chill out after an energetic swim. The seven-storey Confort Hotel Traian, featuring contemporary architecture, is located three kilometres from the centre of the Romanian Capital, Bucharest. The Unirea Shopping Centre is two kilometres from the hotel and the Palace of Parliament is three kilometres away. Bucharest Otopeni International Airport is 15 kilometres from the hotel, an approximate driving time of 20 minutes. Multilingual staff at the 24- hour front desk can offer currency exchange and the hotel's public areas are air-conditioned. There are also dry cleaning services and laundry facilities, while other practical amenities include a shoe shine service, all-hours room service, a business centre and free secure parking for those arriving by car. 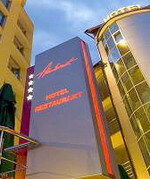 Restaurant Traian serves international dishes in a contemporary setting, and Bar Traian offers a wide range of drinks. 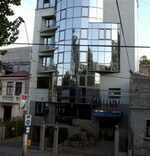 The Dalin Hotel is located 700 metres from bustling Unirea Square and one kilometre from the centre of Bucharest. 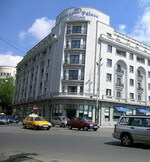 The Vitan Mall is two kilometres from the hotel, and the Palace of the Parliament is four kilometres away. The five-storey Dalin Hotel is a modern, glass-fronted property with a concierge desk where multilingual staff can advise on sightseeing in Bucharest. The hotel also houses a gift shop and offers wireless internet access in public areas. Room service is available 24 hours a day. Airport Transfers can be arranged on request (surcharge). Motorists will find garage-parking facilities onsite (surcharge). The Dalin Hotel Restaurant serves international dishes at white linen-topped tables, accompanied by live big band music. The hotel also houses a lounge bar. a complimentary continental breakfast is served each morning. 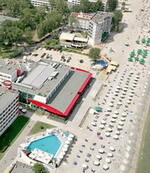 Welcome to Mamaia, the largest and well-known summer resort on the Romanian Riviera. As well, Mamaia is one of the main district of Constanta, the most important city harbor on the Black Sea coast and the fourth harbor in Europe. Golden Tulip chooses to step in the SE area of Romania with a hotel with a wide offer for leisure and business, all around the year. A young and dynamic team, with a positive attitude, dedicated to your needs, is always at your disposal. We are waiting for you anytime to be one of our demanding guest and we will do our best to fulfill your highest expectation. Whatever is the season, at Golden Tulip Mamaia the sun is shining. The 4 star Splendid complex situated in Mamaia just 200m away from the beach with a superb lake view and inaugurated in June 2007. It was designed and conceived as a small business accommodation centre to enable us to offer you as well as your business and employees a full service package. We can accommodate people in 33 very modern equipped rooms. The Splendid Hotel offers its guest a full complement of services such as the Splendid Restaurant with Romanian and international cuisine; sauna and massages so that you and your family can feel spoiled during your holiday and a fully equipped conference room ideal for team building and other activities for corporate clients.